Buzz 3G with its free Office Suite, Free Text messaging and Free VoIP certainly has a serious edge on other recently released Application services, add to that the 3G interactivity on a global level between PC and Mobile and Buzz is set to dominate this new market. Google Apps and Windows Live are the only 2 competitors, but neither offer the depth of communications available on the Buzz 3G plug-in for Windows IE and Firefox and as a stand alone Browser that gives the User, the ability to send Games, Ringtones,Video's, Text Messages and Multimedia Messages directly to Mobile Phones Globally. It also gives the user the best VoIP and a Virtual PC. Send messages from your PC to Mobile and manage responses right on your PC, turn your Video Files, Photos and Music into Mobile Phone Content. Share Video and Music LIVE in THE BUZZ IM. As the Voice over Internet Protocol (VoIP) market moves to maturity from its early-adopter phase, mass-market consumers need to be convinced of the service benefits of VoIP. New and enhanced services that are likely to leverage the public’s strong interest in broadband and PC usage are replacing traditional circuit-switched telephony. At the same time, these services need to be user friendly in order to attract non-technical users. New analysis from Frost & Sullivan, North American Residential VoIP Services Markets reveals that revenues in this industry totaled $1.22 billion in 2005 and estimate to reach $13.2 billion in 2012. If you are interested in a virtual brochure, which provides manufacturers, end users and other industry participants an overview of the latest analysis of the North American residential VoIP services markets, then send an email to Ravinder Kaur, Corporate Communications, at ravinder.kaur@frost.com with your full name, company name, title, telephone number, city, state, country and email. Upon receipt of the above information, an overview will be sent to you by e-mail. Brendan Brader, CEO of two leading technology companies located in the heart of New York State’s Tech Valley, has been named to the “40 Under Forty” list of emerging business leaders by The Business Review. In 1999, Brader and his longtime friend John Reyes, founded HostRocket.com, at the age of 19. HostRocket.com has grown into a debt-free multi-million dollar company offering RocketFreedom shared web hosting for as low as $4.95 per month, RocketOrbit reseller hosting, and dedicated hosting for as low as $99.95 per month. HostRocket.com is known throughout the web hosting industry for its around-the-clock customer service and incredible technical support. In 2007 the company reached an important milestone of hosting over 100,000 websites. HostRocket.com’s servers are located on-site at their corporate offices. Arcosoft announced the release of VONaLink TeamRecord. TeamRecord works with any VoIP phone system based on the open SIP standard, such as Asterisk or Vonage, to centrally record all phone calls for a company workgroup. TeamRecord was previously available only for Windows. Call recording benefits a company by allowing business transactions over the phone to be verified and disputes resolved. With traditional phone systems, calls are recorded with either analog equipment or expensive, proprietary products from the phone company. With the latest VoIP systems built on open, standard protocols, calls can be recorded by monitoring network packets. TeamRecord unobtrusively accesses voice data using the port mirroring capability of a network switch. No additional software needs to be installed at each workstation. The call is recorded as a stereo WAV or MP3. An inaudible watermark can be added to the recording for later verification that the file has not been changed. Users can listen to recordings of their own calls from any web browser. VoIP has entered mainstream telecommunications technology and with global VoIP subscribers rocketing to over 23 million in 2006, now is the time to turn your eye to the latest developments and challenges. 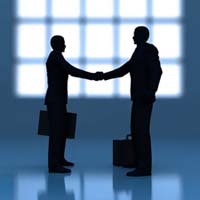 VoEX a major VoIP managed services provider has opened a new corporate office in the Denver area. VoEX will occupy office space at 320 Interlocken Parkway in suburban Broomfield, Colo. This additional location will allow VoEX to expand its Operations organization to support the company’s continued rapid growth. The additional location provides geographic diversity from VoEX corporate headquarters in the San Francisco Bay Area and its roots in Grand Rapids, Mich. The centralized location of the new office will also allow VoEX easy access to its customers and network Points of Presence, as most major metropolitan areas in the United States are directly reachable from the Denver Area. VoEX will be able to maintain its high quality service levels while effectively serving customers located throughout North America. RIAA Ranks University of Nebraska #3 is it Preseason Already? I'm a huge fan of the Nebraska Cornhuskers having lived and grown up in Nebraska the past 20 years. College football is without a doubt the biggest sport here. We have zero professional sports franchises here so we eat, breathe, live Cornhusker football in Nebraska. So today, I was interested to see that UNL (University of Nebraska-Lincoln) has the #3 ranking from the RIAA when it comes to illegal music downloads. Having been in the online music scene since 1996 or so when I first discovered *cough* mIRC *cough* the RIAA just doesn't seem to give up. Every year they report how CD sales have plumitted and blamed it on piracy. Tom Keating writes about Legal vs. Illegal Downloads: What's the Difference and that illegal downloads have less than 1% affect on CD sales. I agree and he provides a nice report in his story explaining it in greater detail. "It's something we feel we have to do," RIAA President Cary Sherman said. "We have to let people know that if they engage in this activity, they are not anonymous." Well I'm proud to announce the RIAA's top 5: Ohio, Purdue, the University of Nebraska-Lincoln, University of Tennessee and the University of South Carolina. Now if only this were true for the up coming college football season I'd be even happier. Just know I'll be cheering for you UNL let's take over that #1 spot from Ohio. I in no way encourage illegal downloads nor do I provide legal advice, however you should cheer for the Cornhuskers. ATLANTIC-ACM and Stealth Communications are pleased to announce the “The Dragon Market: VoIP Opportunities in China 2007 – 2011” session at the Voice Peering Forum Spring 2007. The session will be held on Wednesday March 7th at 5:15pm in the Miami Beach Resort & Spa. Based on the newly published ATLANTIC-ACM report The Dragon Market: VoIP in China 2007-2011, this session will cover forecasts for several different types of VoIP, the underling drivers of VoIP adoption, the regulatory landscape, key statistics about the telecom market, and discussion about wireline, wireless, 3G and other telecom services in China. China’s telecom industry, fueled by GDP growth of eight- to 10-percent over the next five years, will continue to grow on all fronts. The total number of Chinese broadband subscribers will be 144 million by 2011, and paid VoIP services adoption will dovetail with broadband growth, according to The Dragon Market: VoIP in China 2007 - 2011. Raketu launches Raketu.tv, its beta ipTV and Video on Demand (VOD) services. Raketu.tv is the first integrated ipTV and social networking service available to all consumers. Beginning immediately, users will be able to watch videos and streaming TV from around the world while interacting with each other through Raketu’s peer-to-peer (p2p) communications service. Raketu also announced that the company has entered into a content partnership with Media Global Intertainment for ipTV streaming of their content through Raketu, which includes exclusive content seen on the syndicated hit TV music video program Fearless Music. As well, Raketu signed a VOD content partnership with KlikVU.com, providing pay-for Sports, Horror, Extreme Wrestling, Brazilian Models, Soccer Highlights, Extreme Sports Brazil, Medical Minutes, and other entertainment to the company’s user base of over 750,000 consumers worldwide. GrandCentral is adding support for the free Gizmo Project Internet VoIP service scheduled to be announced later today. Jyve, a maker of Skype plug-ins aims to take on Google with it's "ask engine". Where searches provide a live chat, instant message or phone call from a person with expertise on the searched topic. Last but not least is yet another Verizon customer service horror story. It's early so be sure to check back for the latest in VoIP news and hopefully I can expand on these stories more. After a fun-filled vacation at the beach, on the slopes or visiting relatives, the last thing families want to do is come home to a ransacked, burglarized house. According to the National Burglar and Fire Alarm Association, each year nearly 5 million families become victims of household burglary, often when they’ve been on vacation. Johnson says homeowners should consider installing an advanced home security system that provides redundant, back-up connections for always-on monitoring of their home security system. New security systems don’t rely on a phone line for connectivity, but instead use broadband and cellular connections. New alarm services not only monitor your home, but they also monitor the connection from your home to the alarm monitoring center, alerting homeowners when a telephone line is cut or the broadband connection goes down. DigiLinea announces that KDDI will use the DigiLinea US Hispanic -- Latin American VoIP Enabler Platform to provide their clients worldwide with the availability of local DID's from over 100 cities across Latin America and high quality low cost direct termination regionwide. The DigiLinea US Hispanic -- Latin American VoIP Enabler Platform allows service providers to offer local Latin American Telephone Numbers, Direct Termination, and Unlimited Flat Fee Calling Plans providing a turnkey suite for addressing the needs of the global Latino community. The DigiLinea VoIP Enabler Platform allows service providers to quickly and efficiently launch customized VoIP offerings which are of high value to the Latino market, and at the same time, dramatically lower their clients cost of communications to and from Latin America while increasing service provider revenue and profits per line. Aastra has significantly expanded its SIP Telephone portfolio offering with the launch of the Aastra 5i Series. Comprised of four new telephones and two expansion modules, this new family of SIP-based products allows Aastra to offer additional choice and flexibility to customers looking for standards-based IP desktop and mobility solutions. Designed by a team of North American and European engineers, the Aastra 5i family features an elegant global design, large LCD display screens, additional programmable function keys and expansion modules for console and reception functions. 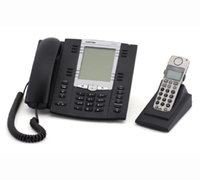 The family also incorporates all of the productivity enhancing features found on Aastra’s existing SIP telephones including; embedded XML browsers, full duplex speakerphones, and an industry leading simplified deployment and upgrade design. Continuing a commitment to be fully interoperable, the Aastra 5i series has also been designed to integrate with leading IP Telephony platforms making it appeal to a wide range of SMB and Enterprise customers. Buzz Technologies has embarked on a bold strategy to take on the giants of the internet. Buzz Technologies has developed a suite of internet ready products. Buzz Technologies internet products are ready for the convergent media future. Buzz Technologies internet products make the internet, TV and mobile phones all wireless. At the web level, the Buzz Browser, the Buzz Instant Messenger, the SMS, VoIP and search engines are all operational. These products are integrated into a single powerful platform. These products compete directly with Windows Live and Windows IE. Buzz Technologies is developing the Buzz Browser to be able to be a competitor to Windows Vista and XP. The Buzz Virtual Computer will see a stage 1 release this week allowing individuals and corporations the ability to store their files within the browser. Files stored on the Buzz virtual computer will be available wherever the user logs on. Sutida Suwunnavid Chairwoman of Buzz Technologies said, "While we could explain in detail the technical specifications we think as a user you should simply compare the products." I believe you are correct Sutida Suwunnavid, so if you have used any of the Buzzalicious software please leave us your feedback. Missouri consumers are just starting to see the benefits of meaningful phone service competition. Much of this competition is facilities based, physical structure built in Missouri, while other competition comes from providers such as Vonage who ride on others' networks -- but much of the competition and new services result from the benefits of digital Internet Protocol technology. Unfortunately, Missouri's Public Service Commission is trying to regulate this new voice technology and service. The Commission is also splitting hairs to draw distinctions among providers -- aiming to put different, heavier regulation on the facilities-based IP voice technology (commonly called Voice over Internet Protocol or VoIP) such as that offered by network owners, than on VoIP offered by nonfacilities-based providers such as Vonage.